Topside, based in Washington, DC, provides search and placement services to lawyers, government relations professionals, and law and lobbying firms throughout the United States. The firm was founded by Leslie Miles, a placement professional who has practiced law, lobbied Congress, worked on Capitol Hill and served in elected office. Our approach is unique: a client-driven, comprehensive market-based commitment to results. For every candidate, and every firm, we conduct a broad-based, confidential survey of the marketplace. We tailor each search to the specific needs of the individuals who seek our services, rather than imposing a one-size-fits-all solution. Our clients know the full range of possibilities available, and have all the insight and information they need to enable wise, informed, lasting decisions. Leslie established Topside in 2010 after five years with a boutique Washington legal placement firm and a wide career in law, politics and public service. She practiced commercial litigation in Boston, then worked on the professional staff of a Presidential campaign, as a Legislative Assistant to a United States Senator, as a lobbyist for prominent national organizations, and as an Associate Director of PBS. She has held local elective office as Chair of Advisory Neighborhood Commission 2F (Logan Circle) in Washington, DC, chaired a public board in Montgomery County, Maryland, and chaired and served on the boards of several political, artistic and philanthropic entities. She currently serves as Board Chair of Adventure Theatre and on the Kennedy Center Circles Board. She is a graduate of Leadership Montgomery. 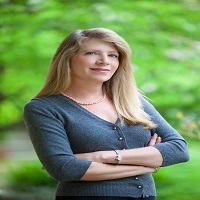 Leslie's broad, deep contacts, discretion, market-driven methodology and commitment to results have enabled her to successfully place partners, practice groups and associates in law firms in the American Lawyer Top 10, Top 30, Top 50 and Top 100, and in leading international law offices. She has placed partners with expertise in many areas of law including energy, antitrust, trade, intellectual property, government relations, private equity, mergers and acquisitions, project finance, insurance, and litigation, and has moved many senior staff out of the Executive Branch and Congress.